So Cute poncho 55x58 3-5 y natural. 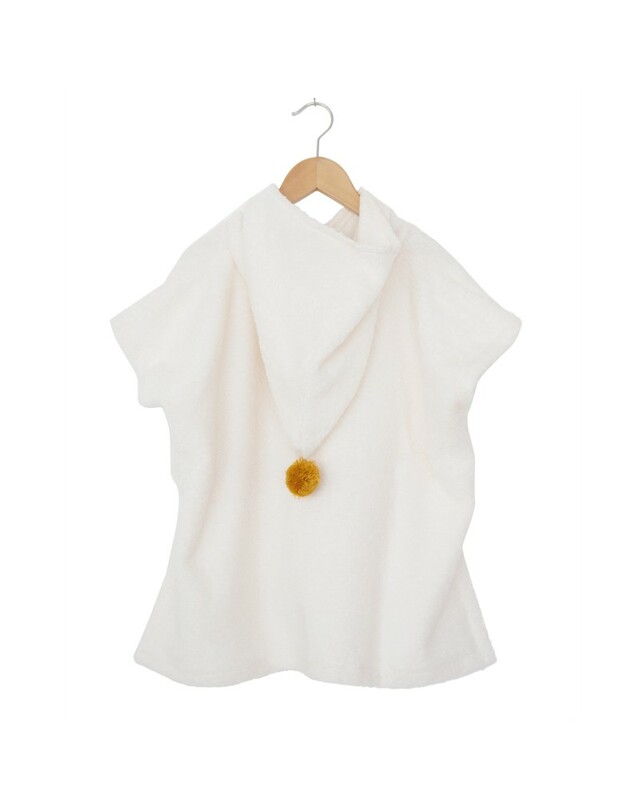 With the So Cute poncho and its elegant and funny pompom on top of the hood, your kids will feel cosy yet stylish. Made of the highest quality of terry towel fabric from organic cotton, the So Cute poncho is extra soft, absorbent and comfy. Very practical, you might as well dress your baby up with it at the pool or even at the beach! 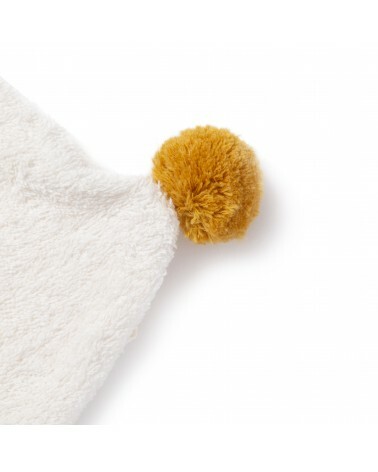 Hood with elegant and funny big pompom. 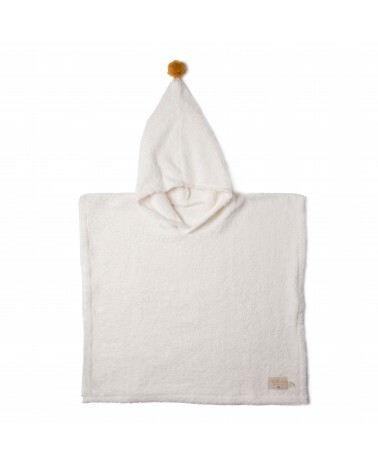 Very soft and absorbing terry cloth made from organic coton. Washing instructions: Gentle cycle 30º max., wash with like colours, do not bleach, tumble dry low, do not iron.